Durable and weather resistant low-sheen finish for exterior wood and metal. 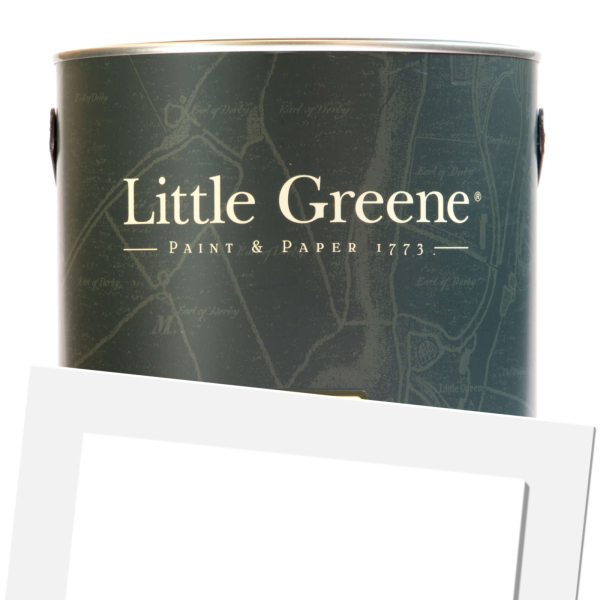 Little Greene Tom's Oil Eggshell is for use on exterior wood and metal surfaces. 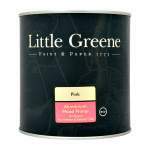 Named after one of Little Greene's senior chemists, it dries to a low sheen finish which is extremely durable and flexible and provides a completely washable, weather resistant finish. UV resistant film with excellent flow, for use on exterior hardwoods and softwoods, suitable for cladding, windows, doors and other joinery. Application is by brush, roller or spray with coverage up to 16sq/m per litre. Touch dry between 2-3 hours and recoatable in 16 hours. 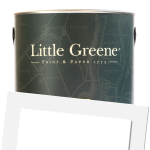 Little Greene Tom's Oil Eggshell (Tinted) is available in 33 colours from the Little Greene Colour Cards. A top quality modified flexible oil based opaque wood finish with a tough, hard wearing weather and UV resistant film with excellent flow, for use on exterior softwoods and hardwoods. Suitable for cladding, windows, doors, and other joinery. Conforms with BS 4310 Lead free. Thinning should only take place after the material has been thoroughly mixed. Application and use should always conform with the codes of practice described in BS 6150 and BS 5493. Stir well before use. 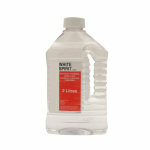 Thin with 0–5% white spirit as required. New wood - Non preservative treated softwood timber should be preserved with a proprietary wood preserver. For best results on new, uncoated wood that is resinous in nature or contains resinous knots, apply two coats of aluminium wood primer to prevent staining and/or discolouration. All smooth planed timber should be thoroughly sanded and cleaned ensuring that the timber is dry and free of contamination and dust. Rough sawn timber should be cleaned free of dust and other debris or contamination. Proceed with two coats of Little Greene Tom’s Oil Eggshell. 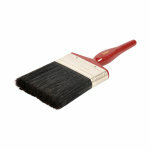 Existing paint finish - Remove all loose and flaking paintwork. Degrease with a suitable detergent solution, such as sugar soap, followed by clean water rinse. Rub down thoroughly with a medium grade sand paper to provide a key and a defect free smooth surface, “feathering in” areas where paint has been removed. Make good any repairs, sand and apply a primer coat of Little Greene Aluminium Wood Primer to exposed surface as appropriate. Proceed with 2 coats of Little Greene Tom’s Oil Eggshell.